Look what I got hold of. 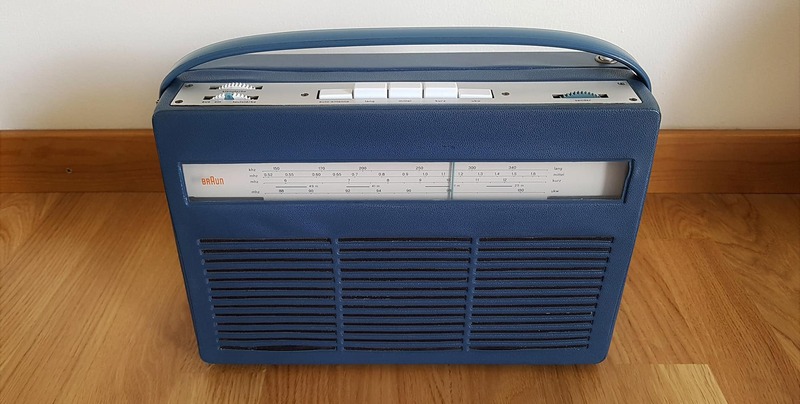 It’s one of the classic Braun transistor radios from the early 60s, the T220 model, blue version. Designed by legendary industry designer Dieter Rams, this item is fully working and in great condition. If you are a designer or interested in good design you probably have already heard about Rams and his 10 principles for good design. If not, here is a good link for that.